Tis' the season for holiday parties and there is no party accessory more perfect than a classic diamond necklace. The Diamond Bolo and the Diamond Cluster Necklace are the perfect pair to layer on with your holiday look. Each has rose cut diamonds fitted in a unique design for a fun update on a quintessential style. We also have the cluster necklace layered with our grey freshwater pearl chain- making a perfect combination for layering! We love how you can double wrap longer chains like our grey pearl one for more layers. 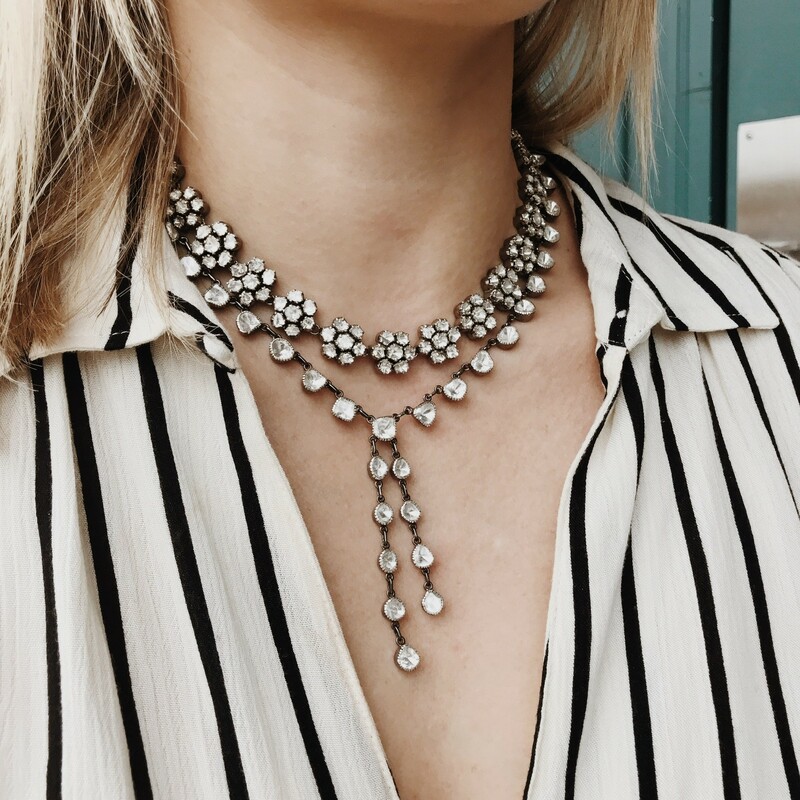 Whether you're going sleek with a silk blouse & pants or classic with a cocktail dress, these necklaces add the perfect amount of sparkle and can be worn time and time again. We're OBSESSED! Spice up your winter uniform with these gorgeous pyrite and wood bracelets! Each style has a unique statement bead to set it a part and make them perfect for an everyday statement. 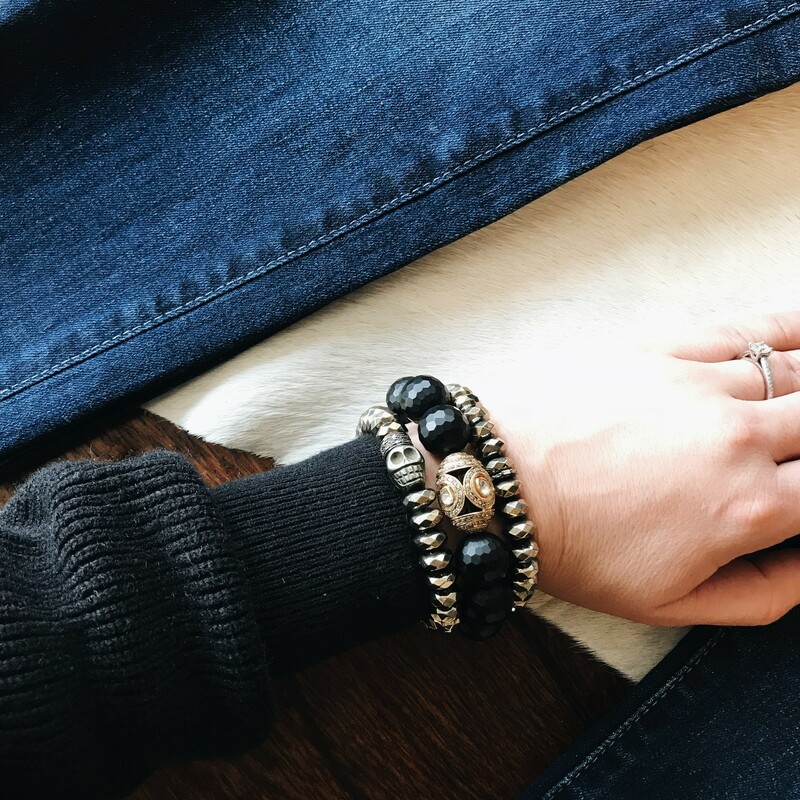 The black bracelet with a gold statement bead has rose cute diamonds set in the middle around the bead, while the skull statement bead on the pyrite bracelet is also made from pyrite and features a small diamond charm just above the skull. These bracelets from The Woods are the perfect every day accessories for your wardrobe and look amazing layered up or standing alone. Throw them on with your fave sweater and jeans and they'll give your outfit the extra touch it needs! 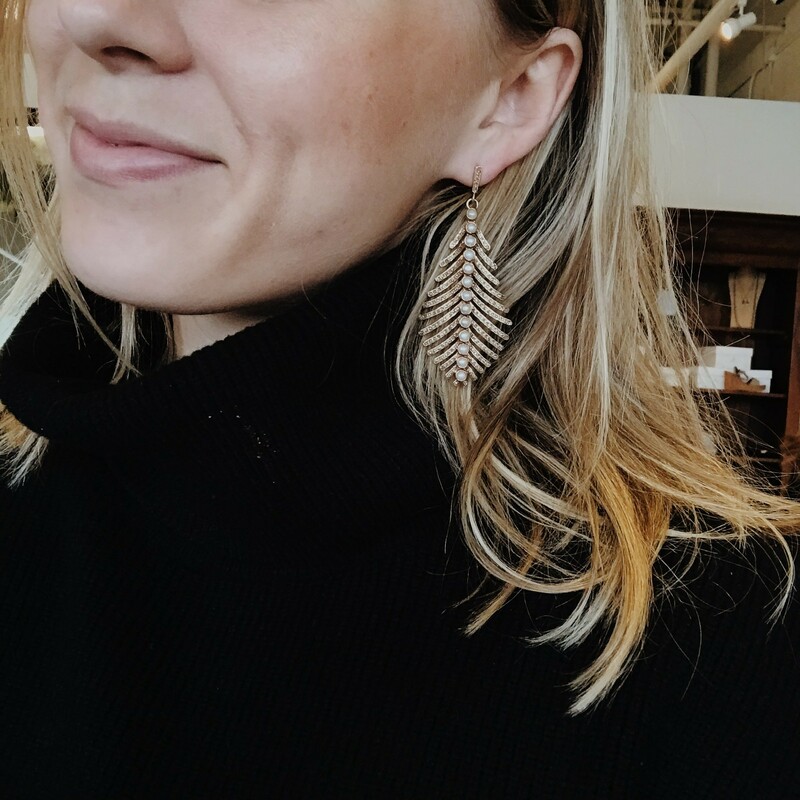 It doesn't get better than these brass feather earrings. With a line of pearls going down the middle and rows of pave diamond on either side it's no wonder its been our favorite statement earring from The Woods! Its quick to stand out with any outfit. Whether you're going simple and chic with a black turtleneck like above or want it to add that extra touch to a more formal ensemble its sure to dazzle! the combination of classic pave diamonds and grey pearls in a fun feather shape make these a favorite amongst customers and all of us at the store! We can't get enough of the amazing collections coming from The Woods! Click any of the links above to shop the pieces featured. 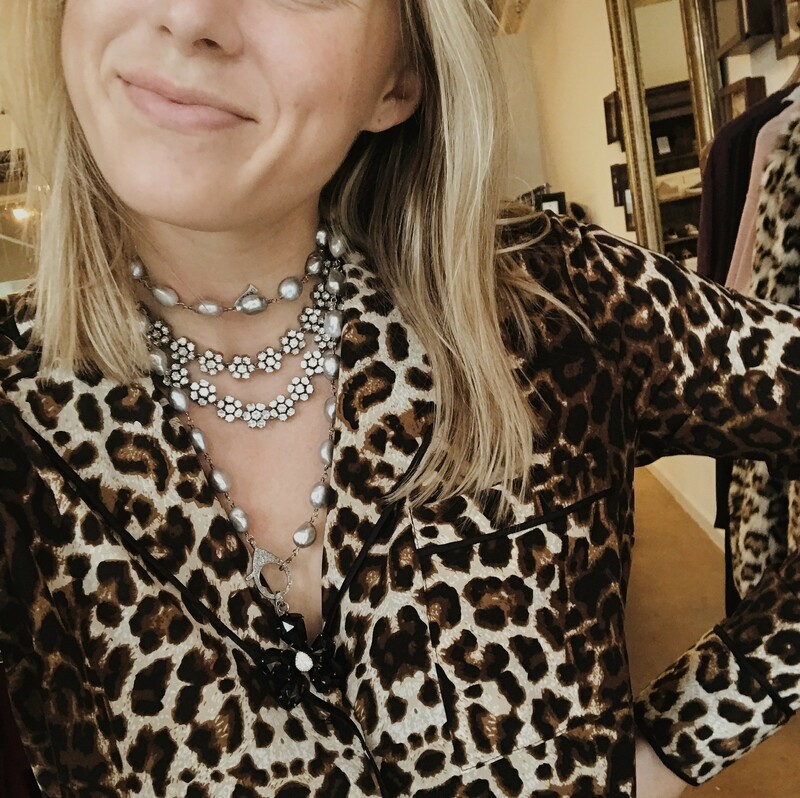 We can't wait to share more styling tips and facts about some of our favorite pieces in the store!